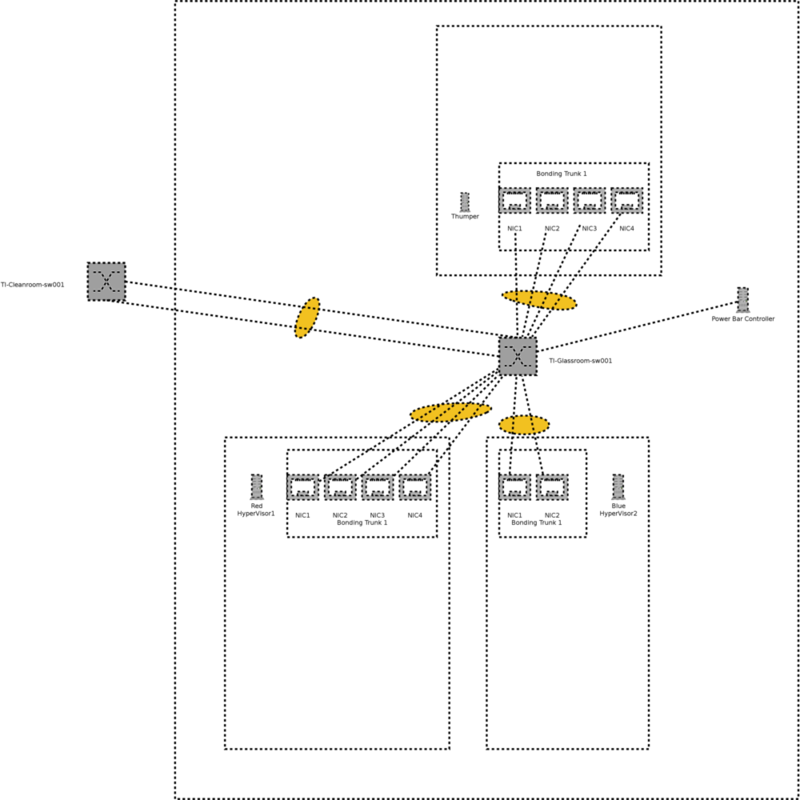 This Project is the birth of stable, fast, reliable infra withen techinc, this project will allow members to have VPSES, CTF Practice Servers, A cups printserver that worked when its needed,maybe the ti wiki oneday. Hypervisor RED is up and configured. Hypervisor BLUE is up and configured. LACP between core switch and glassroom switch is up. Fiber and Power has been pulled to glassroom. 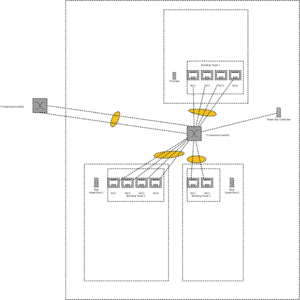 LACP Between hypervisors and the Glassroom Switch is up. Powerbars are on two seperate groups in TI. CUPS Print Server for the space Printers. White space with a Server icon in it = Means That all the items in that whitespace are physical connected/bound to that Physical Server. 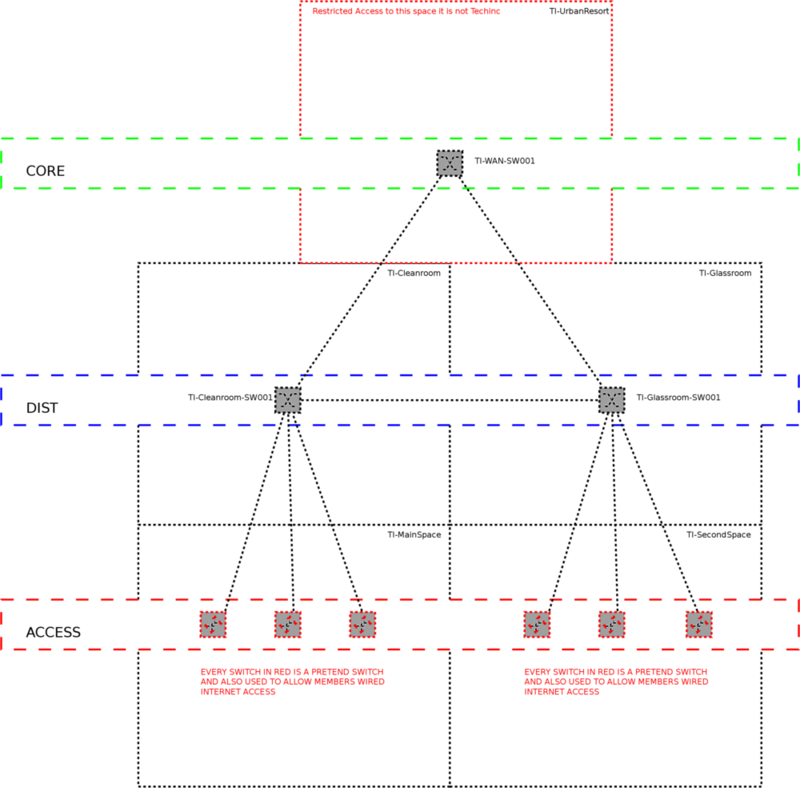 Concept A the Core, Access, Distribution with single link fault tolarance between switches on the Core and Distibution Level.